A Mykel Beckley hat-trick kept Khalsa’s push to the Midland Football League finishing line strong as they delivered the final nail in the coffin of their hosts’ stay in the division. However, two late goals meant the score line really did flatter Khalsa who frankly toiled against a side who were reduced to ten men for over an hour. Wolves Sporting made an eyebrow-raising six changes to the eleven that started their last game against South Normanton but went behind on 12 minutes in what was the first real action of the game. Sean Williams turned two defenders inside out in the penalty area and fired a shot which took a very helpful deflection into the net past the reaches of keeper Richard Kennedy. Eight minutes later, Kennedy came to the rescue, clawing away a header from Tes Robinson from Mensah Kinch’s corner. On 28 minutes Wolves Sporting were down to ten men. One of the squadron of debutants, former Khalsa striker Liam Hughes, perhaps frustrated at not getting a kick up to that point, first engaged in a low key clash with defender Shawn Boothe by the dug outs before following up with a petulant lashing out a short while later which led to the easiest red card in football history. Losing a player who’d not touched the ball served to lift the home side and on 31 minutes Boothe had to block James Quarry’s goalbound effort after Khalsa keeper Sam Arnold sliced a clearance. On 38 minutes, the home side grabbed an unlikely but deserved equaliser, the impressive Umar Zaman finishing brilliantly on the break. There were further chances at either end before the interval. First, Robinson headed over from a Kinch cross and then just before the whistle Arnold produced a fine stop to deny Dom Dell. The pivotal moment arrived five minutes after the restart when it appeared Beckley’s goal had been chalked off for offside, despite the decisive touch backwards to the goal scorer clearly coming from a Wolves Sporting player. After conferring with the assistant – who could not have been expected to see who the touch came from – the referee waved away the mobbing from the home side’s players over-ruled the flag and rightly awarded the goal. Beckley almost made it three on 59 minutes, hitting the post with a shot which bounced to safety, and three minutes later Williams again showed trickery to drift into a shooting position, putting his shot just wide. Three good stops by Kennedy – who was excellent in goal for the home side – came in the 67th, 75th and 78th minutes, first from Robinson and then two from Beckley. But Wolves Sporting held firm and almost grabbed a second equaliser – which few people could have denied they deserved on tenacity alone – on 79 minutes when Zaman’s effort, bound for the top left-hand corner, was clawed away by Arnold. With the game moving into injury time, an excellent no-look pass by substitute Liam Armstrong found Beckley who finished brilliantly from the edge of the area. And then with almost the last kick of the game, Beckley was hacked down in the box and dusted himself off to smash home his hat-trick. The win leaves Khalsa in third, a way off the top two, with five league games to play. 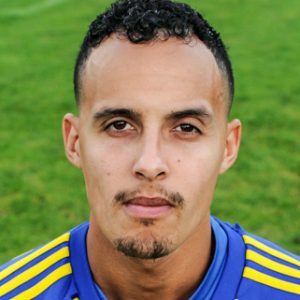 Sporting Khalsa: Sam Arnold, Shawn Boothe, Sean Williams, Leon Miles, Tes Robinson (captain), Alex Perry, Mensah Kinch (Josh Thomas), Kieron Whittaker (Liam Armstrong), Jay Holdcroft (Daniel Dubidat), Dave Meese, Mykel Beckley. Subs not used: Vidal Hendrickson, Remi Birch.